If you're like me, then you're also looking forward to summer..not because of the warm weather. Not even because there could be ideal swimming weather. It's because of the summer grilling season! Get your Tommy Bahama Rolling Party Cooler out of storage and fire up the grill because summer is just around the corner. With the Capt'N Cook 5-Burner LP Gas Grill, you'll have plenty of cooking space for steaks, burgers, hot dogs, salmon...whatever you can think of to cook outside. 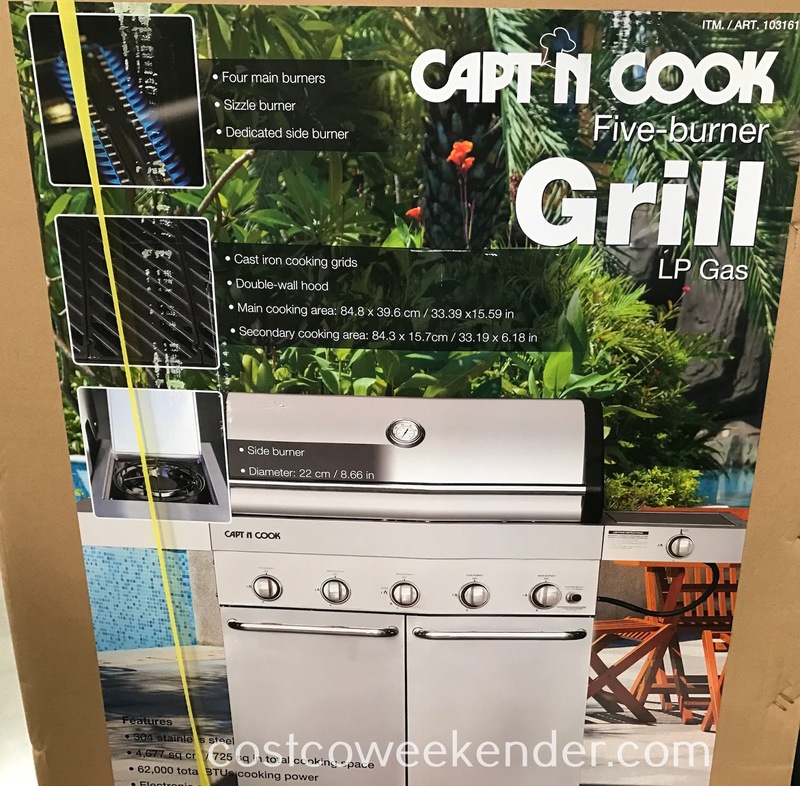 The included cover is a nice touch since not all grills come with one. I ended up buying a generic cover for mine that doesn't even fit right. With the dedicated side burner, you can heat up sauces while not interrupting the main cooking surface. One of the things that my family enjoys eating is fish but cooking it indoors results in a very smelly kitchen. 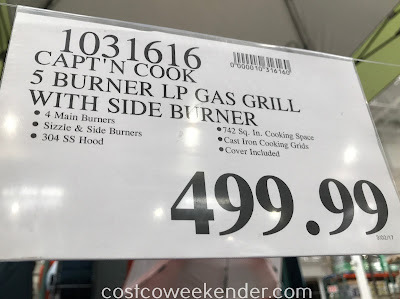 So why not cook outside in the Capt'N Cook 5-Burner LP Gas Grill? 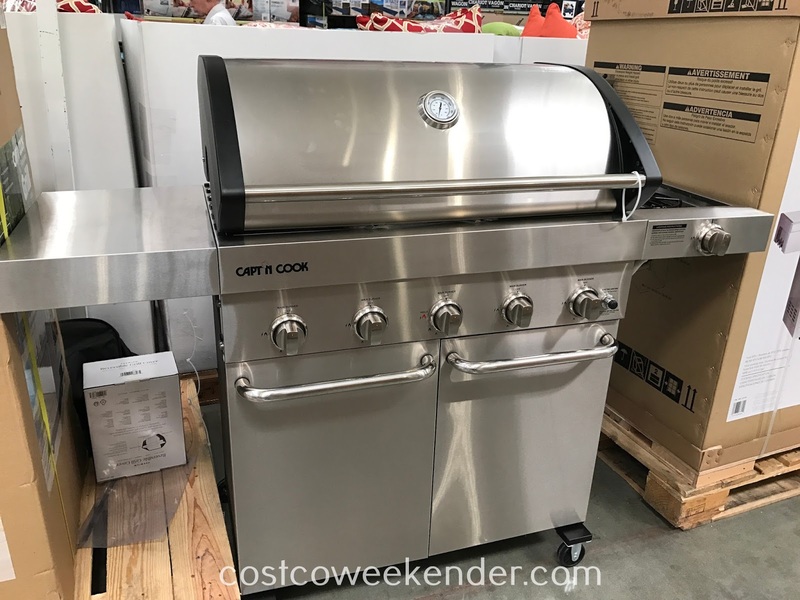 Whatever you like to cook, you'll find that the Capt'N Cook 5-Burner Gas Grill is versatile and large enough to tackle all kinds of food. 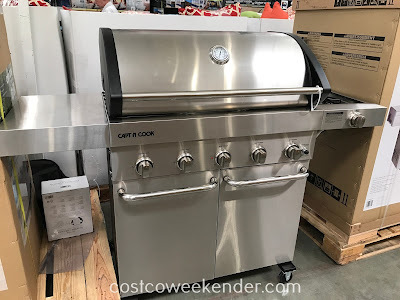 Main cooking area: 33.39" x 15.59"
Secondary cooking area: 33.19" x 6.18"